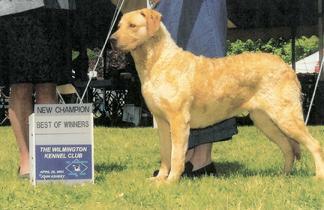 Solo received her Championship April 26, 2002. 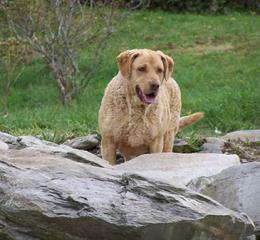 She was our premier retriever. She loved the water like no other. She also received her Junior Hunt title and Obedience title certificates. She was aptly named after being the sole survivor in her litter. As you can see here, she was a true deadgrass. 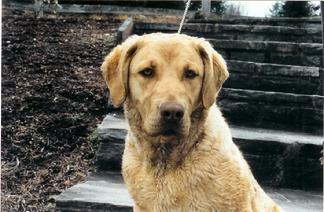 Solo served as the backbone of Donway Kennels for years. She successfully whelped numerous litters and served as a mentor to our younger dogs.